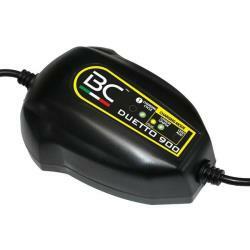 BC DUETTO 900 is a universal charger for lead-acid and lithium batteries, with two specific and differentiated charging programs for the two types. 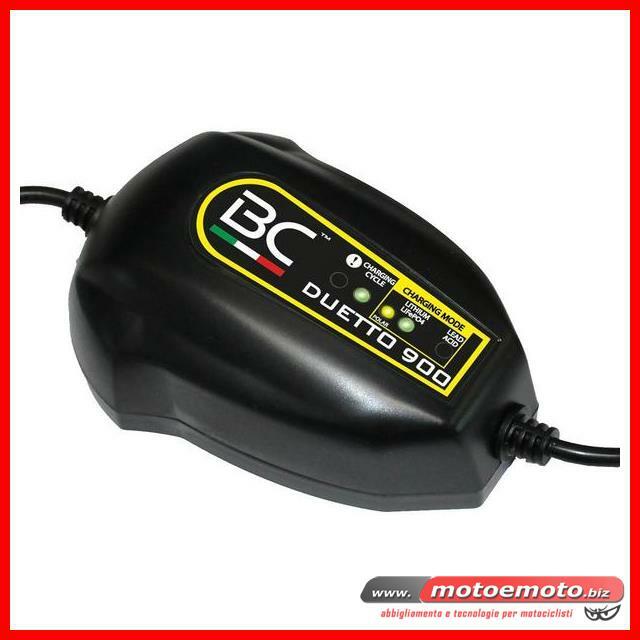 Compact and with an innovative design, it has a maximum current of 1 Amp and integrates a temperature sensor: when the charging program for lithium batteries is selected, in case of cold temperatures the "Polar" mode is activated, which allows a charge in full efficiency and safety even in critical conditions. * Protections: polarity inversion, short circuit, overcharging, overheating. It doesn't make sparks. * Check if the battery can hold a charge.